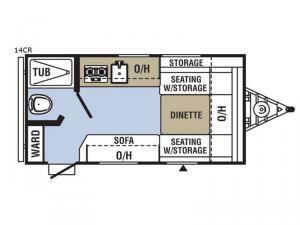 A weekend getaway is made easy for you and your spouse with this Clipper Cadet travel trailer! It provides all of the necessary features to make your trip relaxing and fun. 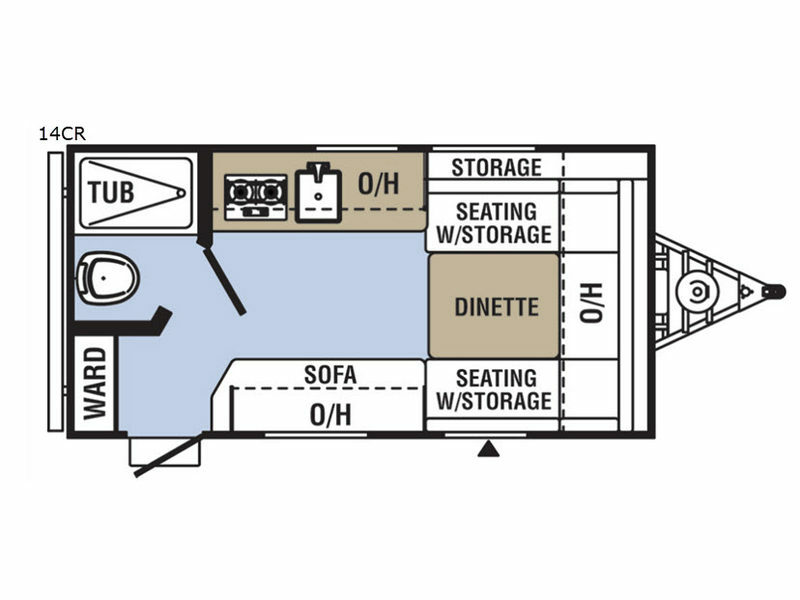 One way this unit accomplishes comfort is having a booth dinette. It accommodates you during meal times and at night it can be turned into a sleeping space. You can use the sofa to sit back or for a quick power nap. Because of the bright LED lighting, you don't have to worry about stubbing your toe on furniture at night either. You will also appreciate the private toilet and tub when getting ready for more adventures. Check it out today!